1. Fact from fiction. 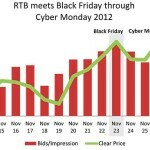 Real-time bidding (RTB) refers to a way to buy display media ads. Instead of the traditional method of buying a block of impressions on a site or ad network, RTB is about the automatic buying of individual impressions. By removing a lot of wasted ad impressions from the media spend, RTB creates more efficient media buying, driven by value-based individual targeting. RTB is now commonplace, with agencies and marketers directly doing so for both direct-response and brand campaigns. 2. Audiences without the wastage. As with an ad network, you could use RTB to target specific sites, but that’s not where value is derived. With RTB there is no “site list” per se, because the emphasis is on the right individuals wherever they may be, not just investing dollars in a small number of sites. As an example, on a typical media plan for a home improvement store, a media planner could focus on buying all impressions on a niche selection of sites. But this would lead to many wasted impressions because not all visitors have “home improvement” intent. Instead, the media planner could use an RTB technique to target only those very individuals with “home improvement” intent, but serve ads to them across hundreds of sites. An increasingly popular RTB technique is called search retargeting — targeting individuals based on their recent search behavior. 3. You will have many RTB partners — not one. Many marketers believe that they can choose one partner (typically referred to as a DSP) to do all their RTB buying. The reality is that, depending upon your marketing goals and level of internal capabilities, you are far more likely to be working with dozens of companies, all supporting some level of RTB capability. For example, if you are looking to convert more of your existing users, you will likely partner with a company that specializes in site retargeting using RTB. If you are seeking new customers, you may partner with a company that specializes in a specific type of behavioral data using their own RTB capabilities. While some types of media buying can be done using your own internal capabilities, it’s also smart to build deep relationships with vendors that keep their own systems and operations teams up to snuff with a constantly changing industry. 4. Data is the driving force, but don’t forget creative! It’s not uncommon to see cases where the creative used for RTB media buying has been predesigned months beforehand and cannot easily be changed. The very advantage of RTB is that you can find a very precise audience — yet marketers often ignore this fact and speak the same way to all individuals. Invest in good creative ad units, test continually, and take advantage of what has become the relatively simple practice of dynamic ad units. 5. Brand safety, low-quality impressions and other RTB myths. A lingering myth about RTB is that your ad will appear on low-quality sites that may or may not contain “negative” material. The reality is that content analysis technology has improved enough to largely remove this problem. RTB vendors that have integrations with brand safety systems like AdSafe, DoubleVerify and others can be sure that your ads will only appear in suitable places. Almost every major publisher sells ads via RTB through one form or another — and ultimately “premium” inventory is inventory that delivers the results you need. 6. RTB is a big deal. 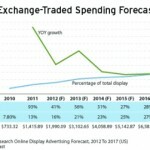 Predictions say that by 2015 almost 50% of display ads will be bought or sold through RTB. While RTB is mainly confined to the realms of display advertising, it has started to expand into other platforms like video and mobile, and it will inevitably come to IP TV, street billboards and more. In the end, RTB delivers market efficiency and allows for new types of targeting not previously possible under the constraints of an ad network model. It’s not a technology, but a movement.